Ah, Scotland. If you’ve been a reader of Two Drifters for awhile, you might know how much we ADORE Scotland. We met there. Amy went to grad school there. And we can’t seem to stop returning again and again. Scotland is incredible in so many ways, and one of the best things about it is the palpable sense of HISTORY everywhere you look. 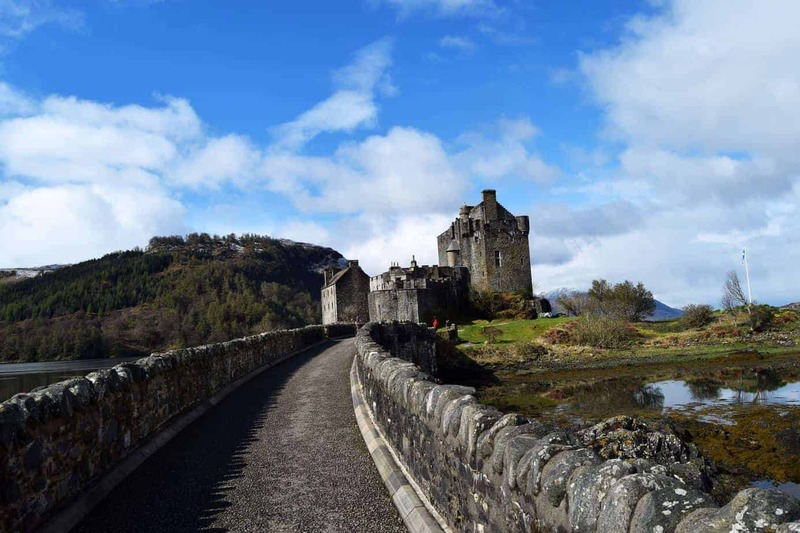 We decided to compile a list of some of these amazing historical sites, focusing on some that are particularly majestic: the very best castles in Scotland. After all, there’s something truly enchanting and alluring about these ancient structures. And they are especially fascinating across the British Isles. (Here’s some great castles in Ireland!) Thanks to many fellow travelers and Scotland lovers for sharing their favorite Scottish castles with us. Trust us, you’ll definitely want to check these off of your UK bucket list. 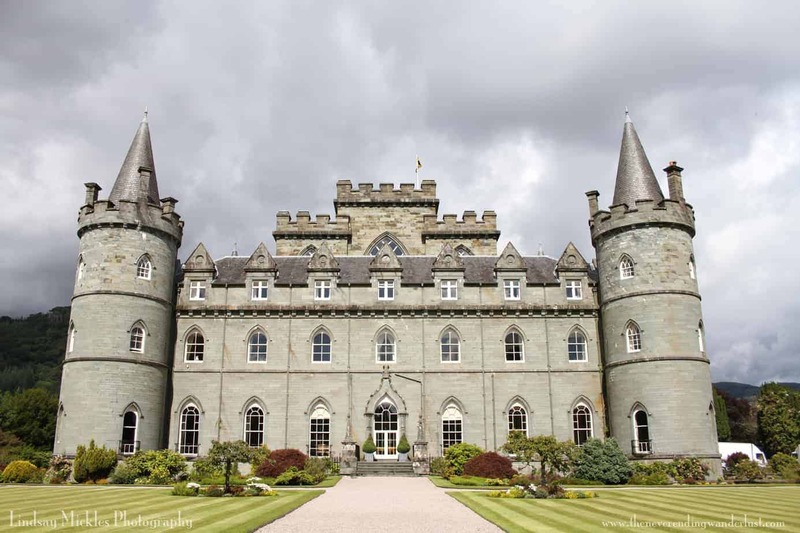 Inverary Castle, the Duke of Argyll’s ancestral home, is one of my absolute favorite castles in Scotland. It is within easy reach (a day or ½ day trip) from Glasgow (via Scottish Citilink) or Edinburgh and has a lovely interior and gardens. Also, if you’re thinking the castle looks familiar, it was the filming site for the Downton Abbey 2012 Christmas Special. 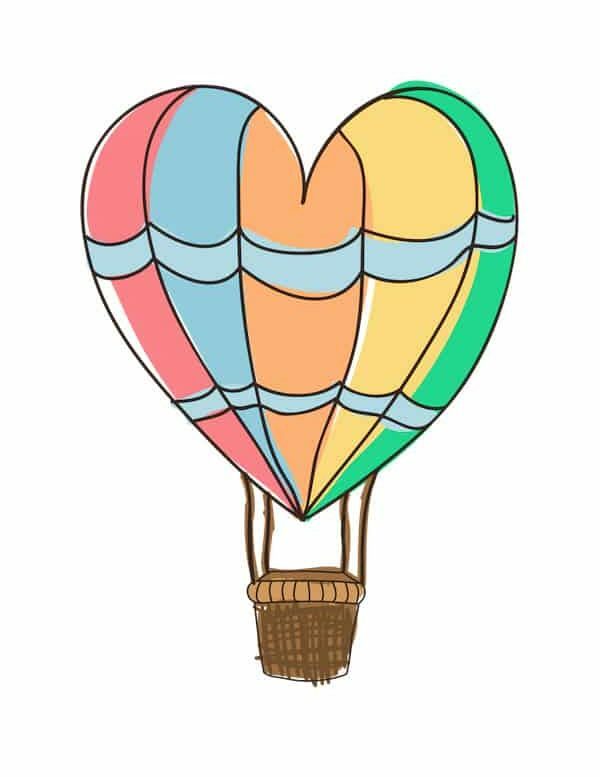 Tickets are 10 GBP, and there is special pricing for children, seniors, and families. My favorite part of the castle would easily be the gardens – they are absolutely stunning! We visited the castle on an extremely overcast day, with rain clouds looming over us. I waited very patiently to get a good shot of the castle when I was graced with beautiful light and a tourist-free shot. One of my most memorable images of Scotland! Kinloch castle lies on the Isle of Rum, one of the Small Isles on the west coast of Scotland and if you saw it you’d probably never guess its story. Far from being an ancient castle like many of the others in Scotland, this was actually built in the late 1800s. It’s made from a gorgeous red sandstone that really sets it off against the green Rum landscape. 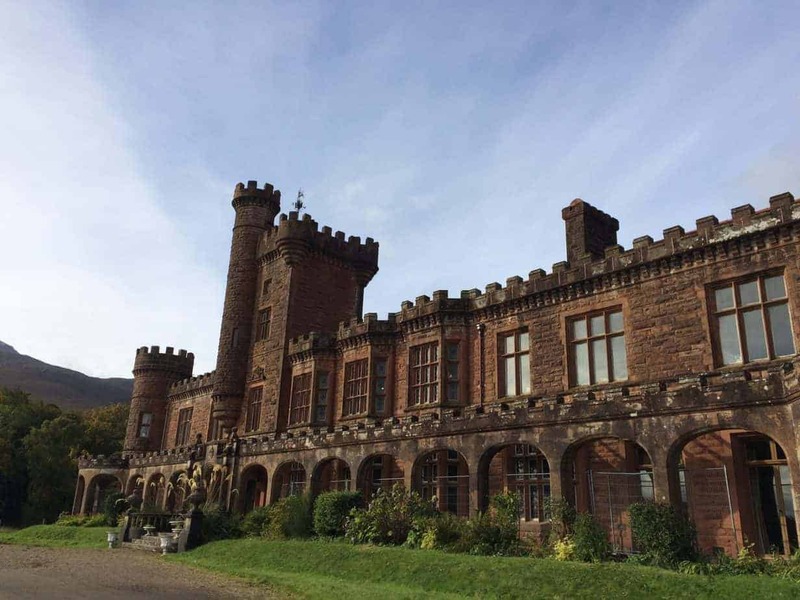 It was actually a grand hunting lodge and party place for one of the most richest men in the UK at the time – George Bullough. It’s said to have cost the equivalent of £15 million of today’s money to build! Castle tours run nowadays and you can see the opulence and quite frankly over the top interior for yourself which is a stark contrast to the crumbling building. We found it a really interesting piece of history that is quite unique I think. Located in the heart of downtown Edinburgh at the end of the Royal Mile, Edinburgh Castle is a majestic sight rising high above the city. Situated on an extinct volcanic rock, the current castle was built in the 16th century. However, records show that some form of the castle existed around 1,000 AD. Previous inhabitants include Queen Margaret, King James V, and Mary Queen of Scots. 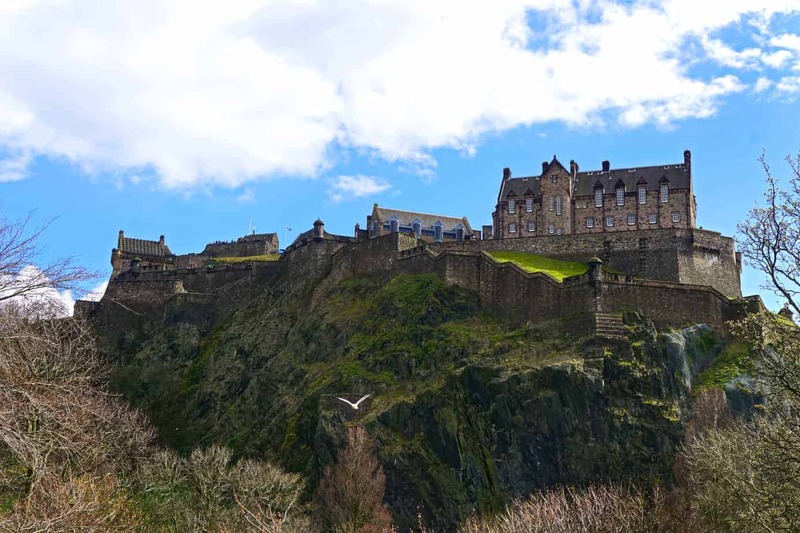 Due to its location in the heart of downtown Edinburgh, the castle is easily reachable and open every day of the year besides December 25th and 26th (hours vary between the summer and winter months). Book your tickets online ahead of time to beat the queue. If you’re looking for a spectacular experience, visit in August during the Royal Edinburgh Military Tattoo. 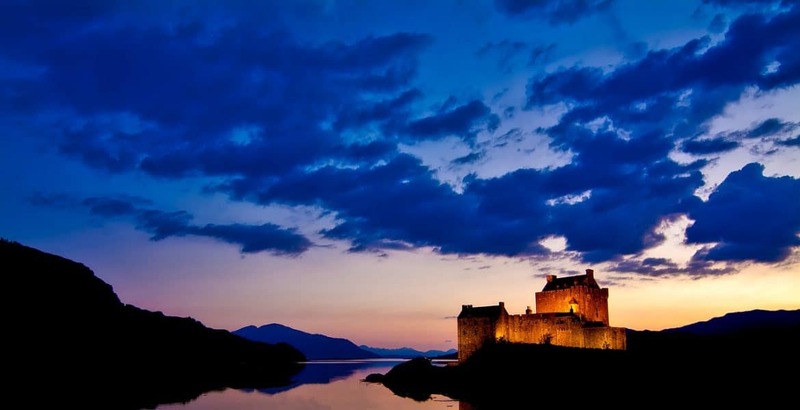 Eilean Donan Castle is Scotland’s most famous castle from the movies and it is truly a spectacular castle. Up in the Highlands, you’ll find this restored castle built on a tidal island in the middle of three lochs. Some historians estimate that it dates back to the 600s, however it’s more realistically dating back to the 1200s. The castle played a critical role in the Jacobite rising, which resulted in the destruction of the original castle. 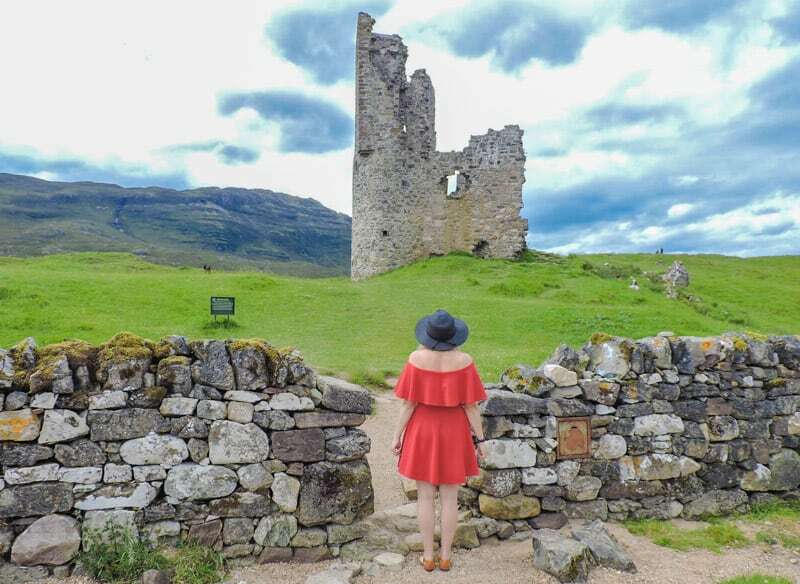 It was rebuilt in the 1920s by a member of the Macrae Clan and since then, it’s become one of Scotland’s most iconic castles often featured in Hollywood movies. You’ll need a car to get here, however there are many 2 day tours that will take you up to the Highlands, including this castle! It’s not convenient, but very possible with a car rented from Glasgow (4 hours). If you’re heading up to Eilean Donan, consider staying overnight in the picturesque Isle of Skye in its largest city: Portree. Otherwise, you can stay in Fort William. 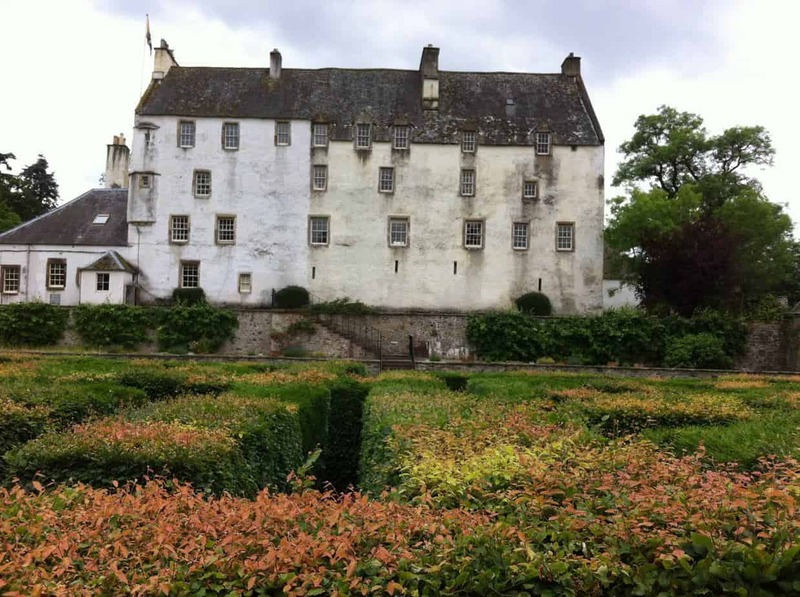 Traquair House is a castle in the stunning Scottish Borders. Is part of Traquair, though the nearest official town is Innerleithen. You can only get here by walking, cycling or hiring your own car or taxi. You can visit the grounds completely free, which includes exploring the crazy maze and visiting the walled garden. For a small cost you can tour the inside of the house, enjoy a scone at the 1745 restaurant or enjoy one of the Traquair House beers brewed on-site. The castle is the home of the Maxwell-Stuarts, part of the Stuart family who used to be on the throne of the United Kingdom. Mary Queen of Scots actually spent a lot of time here before her death. The house is surrounded by a wall, which boasts some beautiful iron gates, known as the Bear Gates… the gates are locked and it is said that they will remain locked until another Stuart is on the throne. 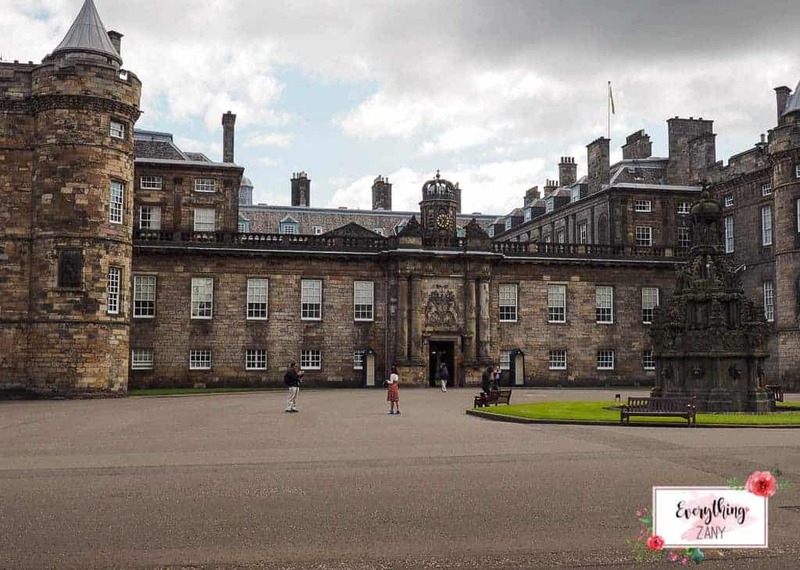 The Holyrood Palace is located at Scotland’s capital right next to the Scottish Parliament. The Holyrood Palace was originally built as a church in Edinburgh around 11th century and was eventually converted into a palace for the British monarch. This Scottish Palace is the official residence of the British monarchs for hundreds of years while they are in Scotland. The Queen stays at the palace to officially open the Holyrood week or Royal week in Scotland around end of June or early July. On this Holyrood week, the British monarch will give appreciation to the Scottish people for their outstanding contribution to the British society. The Queen will also throw a traditional Scottish garden party at the Holyrood palace where prominent and influential people—as well as the awardees—are able to attend. This is all part of the Royal engagement while the monarch is in Scotland. Thousands of visitors flocks to the palace every year and it is one of the most visited palaces in Scotland. Dumbarton Castle is definitely not one of Scotland’s most famous castles- so much so, that plenty of Scots have never heard of it. I grew up in Dumbarton, a small town north-west of Glasgow, and the Castle asks as a focal point of the area. Perched on top of a volcanic rock on the edge of the River Clyde, a trip up Dumbarton Castle awards you amazing views for very little work. On a clear day, you can even see out as far as Loch Lomond and the iconic peak of Ben Lomond. The castle is a historically significant to the area as it dates back to the Iron Age and has the longest recorded history of any stronghold in Scotland. It’s also where Mary Queen of Scots went into hiding before fleeing to France! 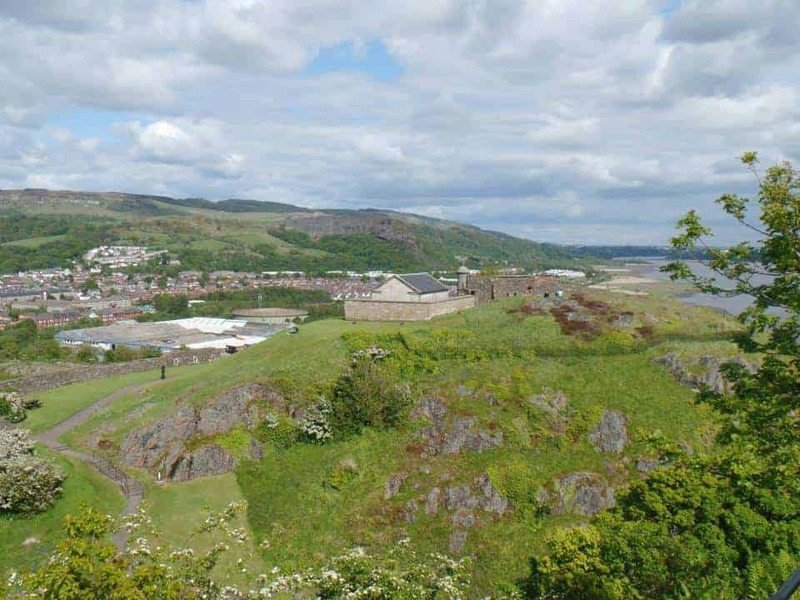 Dumbarton castle is very easy to get to from Glasgow since Dumbarton is a commuter town for the city. Just jump on any train to Balloch or Helensburgh from Queen Street Low Level Station and get off at Dumbarton East. You can see the castle from the station so, even if you don’t have google maps, you shouldn’t struggle to find it! Nearest town: The town of Golspie is 1 mile away, Dornoch is 12 miles away and the city of Inverness is 50 miles away. 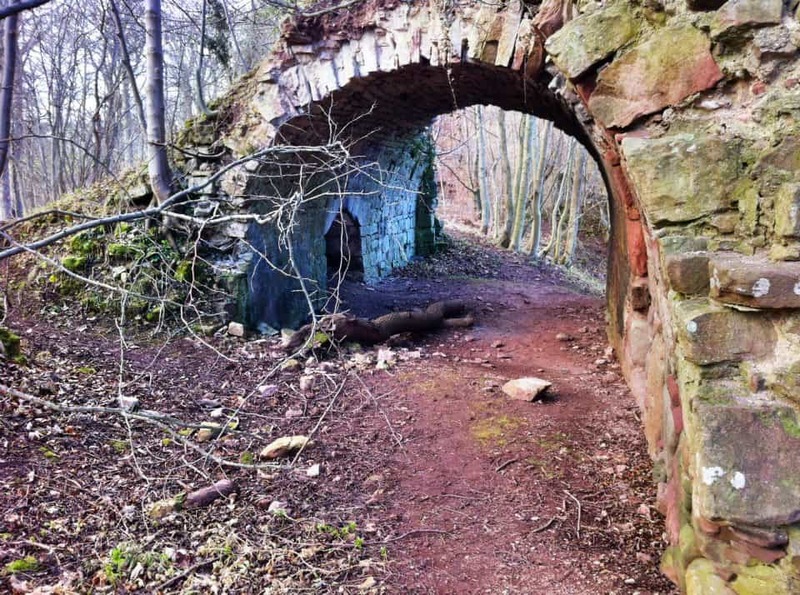 How to get there: Easily accessible by road – it’s just off the A9. With its whitewash towers and spires, Dunrobin is a fairytale come true – you can definitely imagine a princess awaiting her knight in shining armour here! Undoubtedly one of Scotland’s prettiest castles, its design and gorgeous landscaped gardens are more reminiscent of an opulent chateau in France, rather than the functional, sturdy castles more common elsewhere in Scotland. 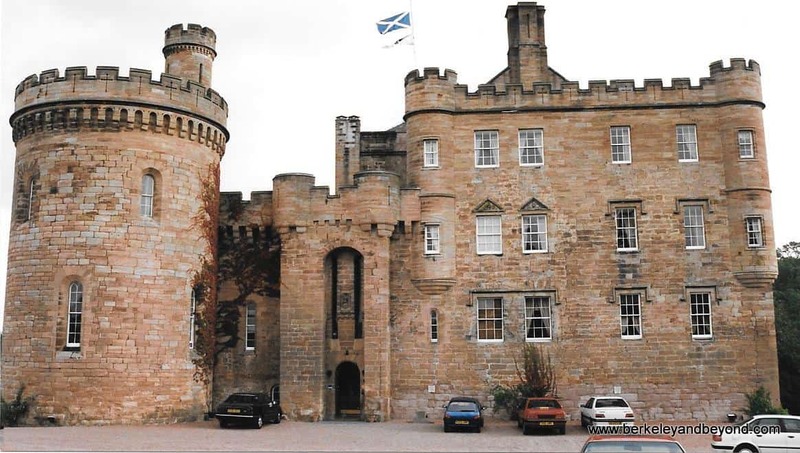 Continuously inhabited since the early 1300s, the castle is filled with the sort of history, decoration and art (plus lots of tartan) which any first-time tourist in Scotland will simply marvel at. 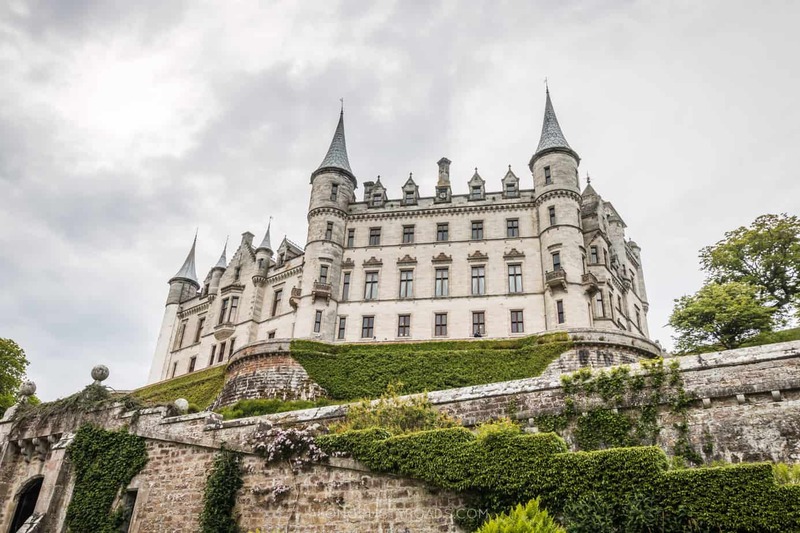 However, one cannot visit Dunrobin without the knowledge that major parts of the castle’s exquisite beauty were built on the back of wealth created from a dark period in Scottish history – the Highland Clearances. Dunrobin Castle is open to visitors from April – October, and can be visited as a stop on the North Coast 500, Scotland’s popular new road trip route. Falconry displays also take place daily in the gardens. 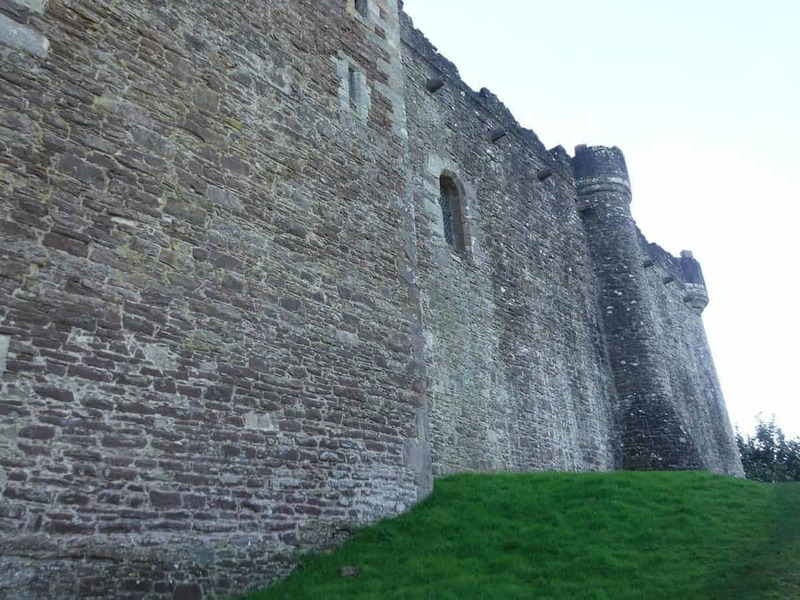 What can I say about Doune Castle other than it is a Scottish beauty that not only pleases the sightseer in all of us, but also pulls at our pop culture heartstrings. Located in the town of Doune within the Stirling district, historians believe it was built in the thirteenth century initially for the Regent Albany (Scotland’s unofficial uncrowned king). Since then research shows it was likely destroyed in the Scottish war of Independence and that most of what we see today was rebuilt and restored. The history behind this castle is quite remarkable. Uses of the building have included retreats, refuge from battle, and hosting Mary Queen of Scots on many occasions. 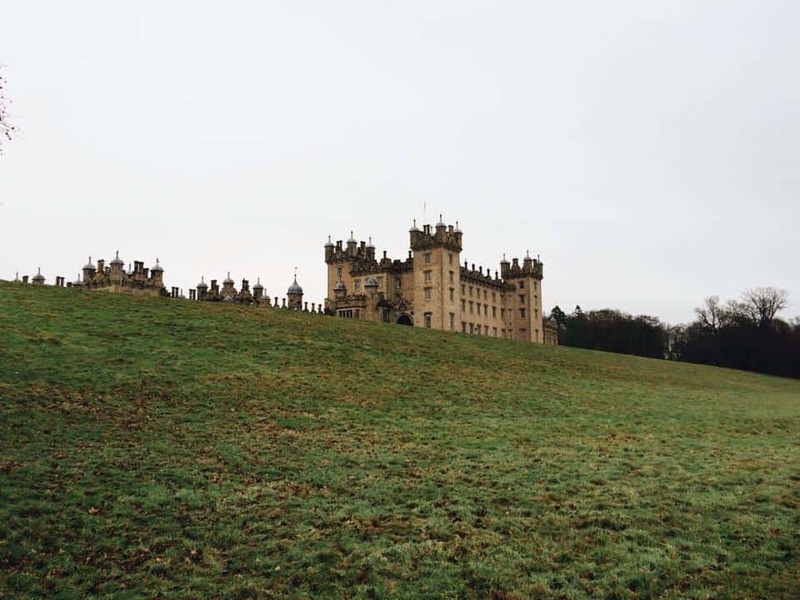 Nowadays the castle is kept and maintained by Historic Scotland, inviting history enthusiasts to the medieval castle grounds along with thousands of Game of Thrones and Outlander fans ticking this royal abode off their nostalgic bucket list. When you go, be sure to check out the beautiful courtyards, ancient artifacts, and marvel at the way people lived back then. I don’t know about you, but the rocky beds and wooden chairs don’t quite do it for my level of comfort! Built in 1267, by Sir Hugo de Gifford, Yester Castle is one of Scotland’s oldest castles. Yet, despite its significant age, few people in Scotland have heard of it. John de Fordun, a 14th century chronicler, wrote that the Goblin Ha’ was built after Gifford, an amateur alchemist, made a pact with the devil. Through black magic, he was able to conjure up a demon army who built the entire chamber. This includes the well, which is said to lead all the way to the pits of hell. These days, most of us would consider stories like this to be folklore rather than fact. But, times change slowly and many people in Scotland still hold superstitious beliefs. This may explain why Yester Castle has been all but kept a secret. Location on Google Maps. Additional photos and instructions for getting there on stravaiging.com. Located 8 miles south of Edinburgh, in Bonnyrigg, Dalhousie Castle is a doozy–with turrets and ramparts and battlements. It dates to the 13th century and is set amid open meadows and woodlands overlooking the South Esk river. A bar hidden behind a false bookcase door makes the perfect spot for a drink, followed by dinner in the candle-lit restaurant area in the dungeon. Then it’s off to sweet slumber in a room with a 12-foot ceiling and tall windows framed in heavy cotton brocade drapes. It is the stuff dreams are made of. Floors Castle is somewhat of a hidden gem, despite being the largest inhabited castle in Scotland. The sprawling estate in the Scottish Borders lies along the River Tweed, overlooking the rolling Cheviot Hills to the south. Here you can take afternoon tea in the walled gardens, go on a traditional pheasant shoot, golf at one of the best courses in Scotland, tour the castle with a historian, or just go for a hike in the ancient forest. Floors Castle is so close to the border that the nearest train station is actually Berwick-Upon-Tweed in England, where you can then easily hail a cab to take you a few miles down the road. Because the castle is still inhabited by the Innes-Ker family, you’ll have to make sure to check ahead for odd closing dates days or opening times, particularly around the holiday season. Ardvreck Castle, well the ruins, sit on Sutherland’s Loch Assynt next to a small sandy beach on the increasingly popular North Coast 500 route. The original three-storey 15th-16th century building was owned by the Macleods of Assynt but changed hands after conflict to the Mackenzies in 1672. Not content with their castle, they built a more modern home, Calda House, which lies close to the loch. The Mackenzies lost ownership when their estate was seized by Crown. Dunvegan Castle and Grounds is one of the greatest Hebridan castles in Scotland and is a popular attraction in the Isle of Skye. This castle has been continuously occupied by the same family for 800 years. 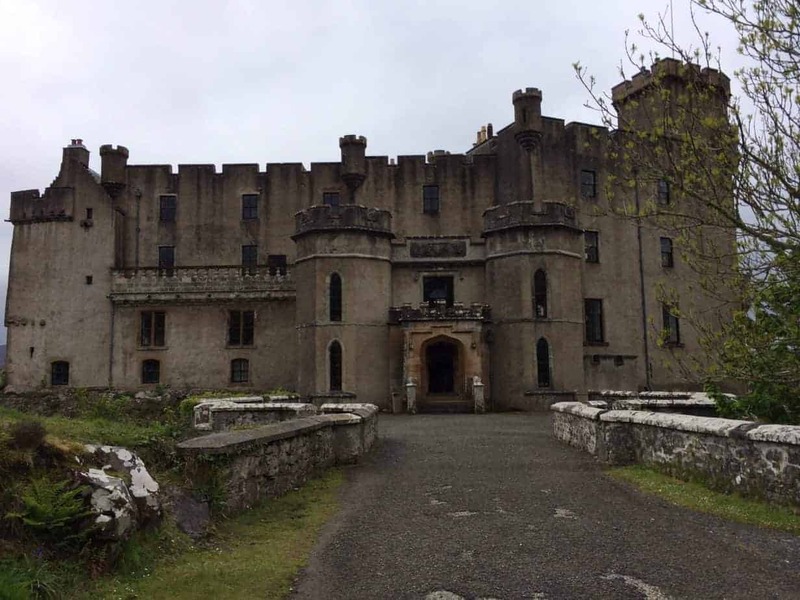 Inside the castle you will find The Fairy Flag of Dunvegan, one of the clan MacLeod’s most treasured possessions. Legend has it that this sacred clan banner has miraculous powers. Not only can you see both the castle and grounds but you can also go on seat boat tours, wildlife loch cruises (plenty of seals) and fishing trips for an additional price. Buses run from both Portree (25 miles away) and Kyle of Lochlash (45 miles away). But my preference was to drive in (it is three hours from Inverness) as you want to stop constantly to take photos. Just remember that both the castle and grounds will be closed in winter (October – March). 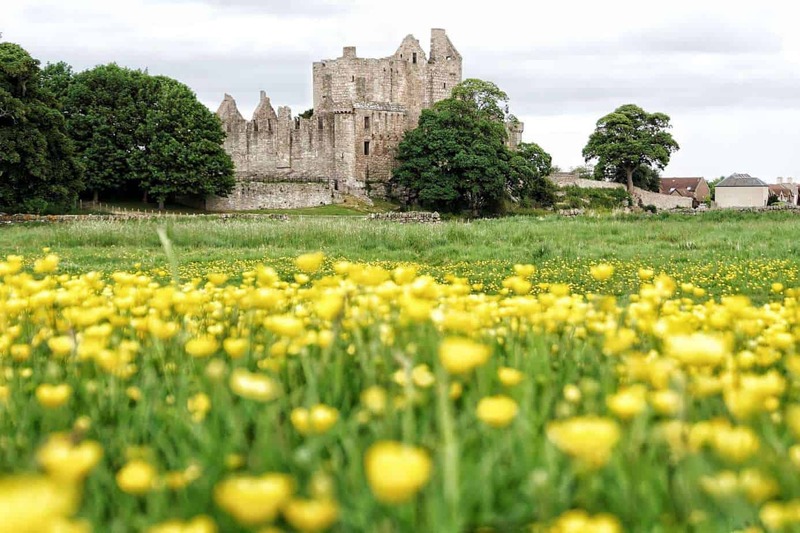 Craigmillar Castle is well worth a visit and is located just three miles from the outskirts of Edinburgh, making it the perfect afternoon trip from Scotland’s Capital. In fact, the castle can easily be reached via bus (or even on foot if you fancy braving the elements). Often referred to as the ‘other castle in Edinburgh’ (the main castle being Edinburgh Castle), the ruins are never as busy as the city’s main castle. It’s also one of the best-preserved examples of a medieval Castle remaining in Scotland to this day and once even welcomed Mary, Queen of Scots! 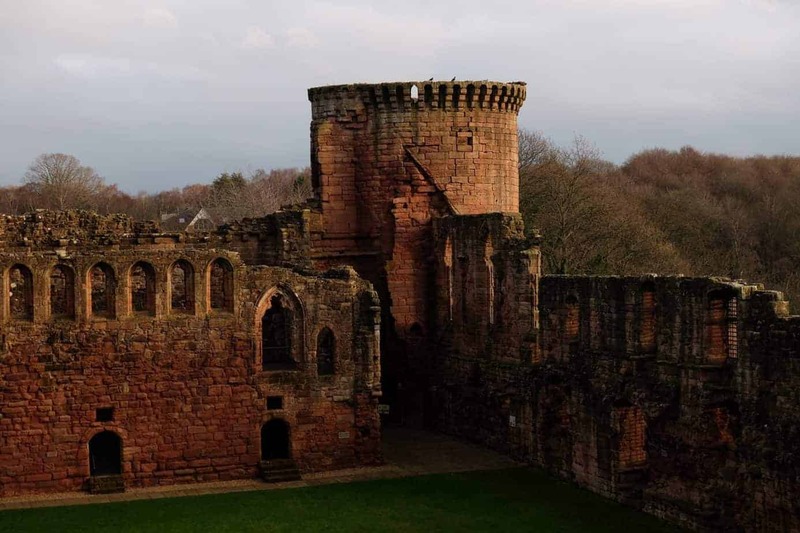 Bothwell Castle is located just 15 minutes away from Glasgow by train, but it feels like it’s a world away. It’s close location makes for a great quick day trip away from the city. The castle is located along the banks of the Clyde near Uddingston. Bothwell Castle was built in two sections during the 13th-15th centuries and was the site of several battles during the Wars of Independence. While the red-stoned castle is in ruins today, it is still in good condition for exploration. Be sure to climb to the top of the donjon for the best views across the castle grounds and the Clyde. Perched on a dramatic cliff top overlooking the North Sea, Dunnottar Castle is one of the most picturesque medieval castles I have visited. The ruins tell captivating stories dating back to the Early Middle Ages, however, most buildings dotted around the outcrop were built in the 15th and 16th century. The castle is located around 3 kilometres South of Stonehaven, a pretty harbour town in Aberdeenshire. Wander around the ruins while admiring the stunning scenery as the ocean waves lap against the steep cliffs. 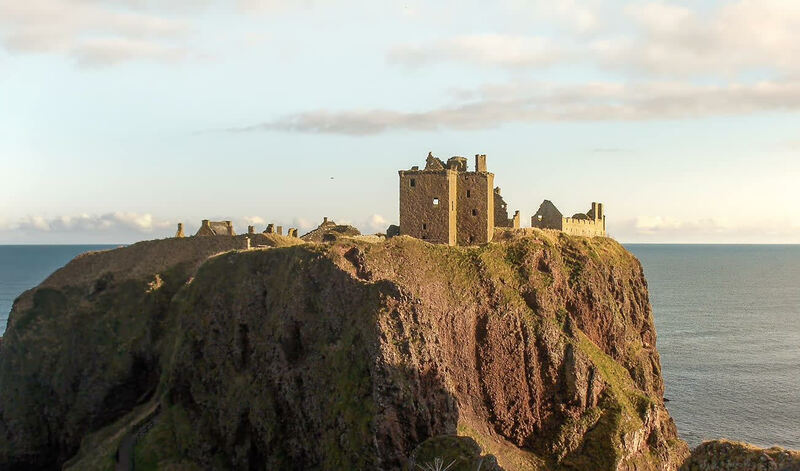 After exploring the fortress, walk the coastal path along the impressive cliffs to Stonehaven, and enjoy a hearty meal at one of the harbour front pubs. 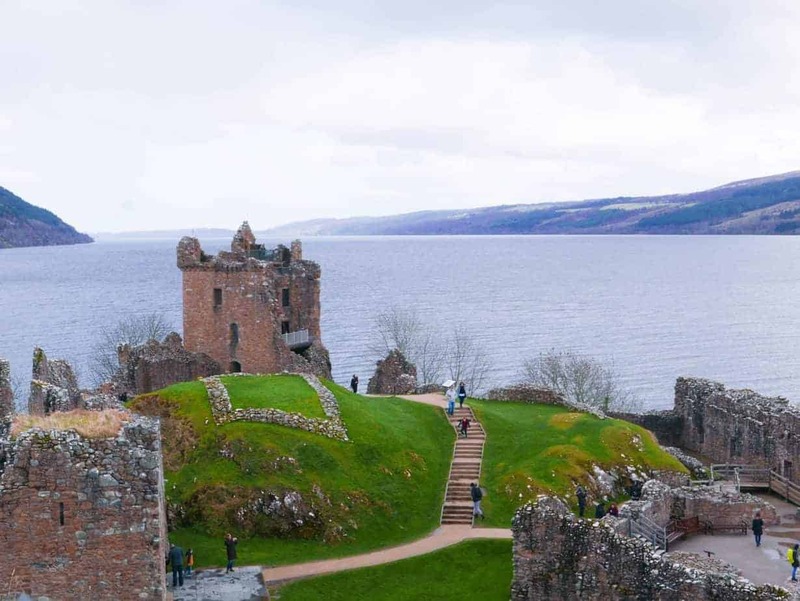 While you’ve probably heard of Loch Ness before, you might not have known that Loch Ness actually has its very own castle! Urquhart Castle, located only a few kilometers away from the popular tourist town of Drumnadrochit, is an absolute must if you’re planning on trying to find Nessie. After all, what better way is there to see her than from the turret of a tower? Of course, there’s more to Urquhart Castle than the Loch Ness Monster. The history behind these castle ruins is absolutely fascinating – and you can learn all about it during one of the free walking tours that Historic Scotland puts on! To get to Urquhart Castle, you can take the bus from Inverness or Drumnadrochit, depending on where you’re based. Or, you can take a boat trip on Loch Ness with a stop at the castle with Jacobite Cruises! Duart Castle, located on the Isle of Mull, is a one of Scotland’s oldest inhabited castles. It has been home to the Maclean Clan for the past 800 years. 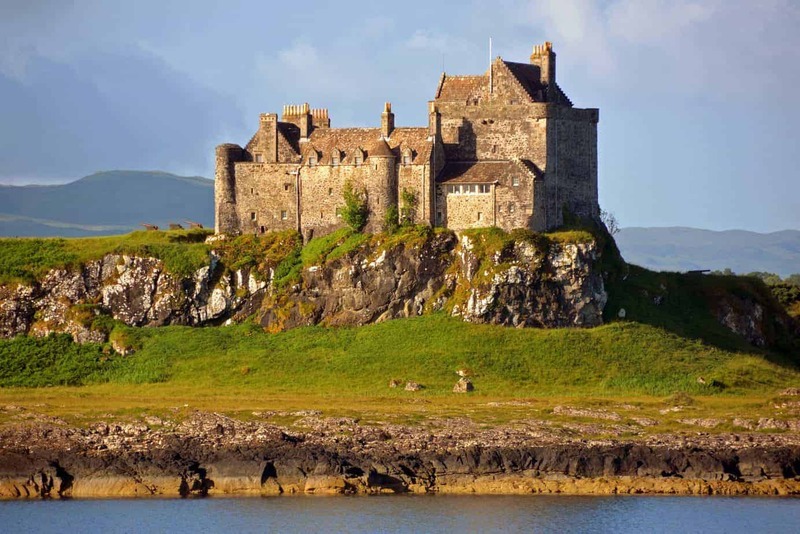 Passengers arriving to Isle of Mull by way of the 45-minute ferry ride from Oban will have a picture-perfect glimpse of the castle prominently perched on rocky cliffs. If you don’t have a car for your time on Isle of Mull, there is a seasonal minibus service running from the main ferry port in Craignure to Duart Castle. Does this castle look familiar to you? You may recognize it from the 1999 movie Entrapment, starring Sean Connery. Looking for more fascinating things to do on Isle of Mull, check out Forget Someday’s post – 3 Reasons to Visit Isle of Mull in Scotland! Kilchurn Castle, located at the North end of Loch Awe, is one of the most photographed castles in Scotland and it’s easy to see why. 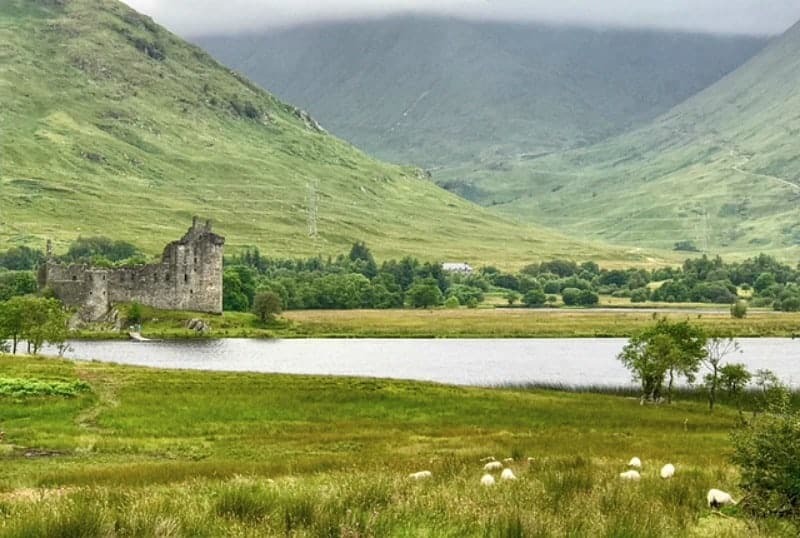 The castle ruins are encompassed by the beautiful Loch and lush fields of grazing sheep and you’ll feel as if you’re in the romantic and whimsical setting of a fairytale. The castle is about two and a half hours from Edinburgh in Argyll and Bute, Scotland, but well worth the trip across the gorgeous countryside to visit. Kilchurn castle is one of the stops on the West Highland Lochs and Castle tour which I took through Viator Travel when I was in Scotland this past summer. Although I highly recommend taking a tour to learn about the history of the castle and the surrounding areas, there is a railway station within five miles of the castle so you can easily make the trip there on your own. Planning a visit to Scotland? Pin this post so you don’t miss any of Scotland’s amazing castles. Eye candy alert! I am super keen to stay in a castle by 2018 so this is cool timing. us tooo!! Scotland is like our second home. We love it. Always an endless number of things to see and do there. Thanks for the mention, only just came across this! Fantastic info. Thank you for sharing. First trip there in less than 3 weeks. Let’s see how many we can check off! wahoo!! Which ojnes did you end up seeing? I can only hope my family will be heading to Scotland very soon. We have wanted to stay in one of these for a while now.